Do you know the difference between a used vehicle and a certified pre-owned one? Both have had previous owners and both go through an inspection before being placed on the lot for sale. So, what’s the difference between the two? First, a certified used car is usually five years old or less, so they are relatively new whereas used vehicles can be much older than five years. Second, certified pre-owned vehicles come with an extended warranty and used cars are generally sold “as is” with no warranty. When a dealership receives a car that qualifies as a certified used vehicle, it’s sent to the shop for inspection. The service department will go over the vehicle extensively and fix any problems found right away. After a vehicle has passed all inspections and deemed ready to sell, it’s placed on the lot with an extended warranty. Dealerships will also inspect used cars to make sure they’re in good shape before placing them on the lot for sale. The service department will fix any major problems and make sure the vehicles are safe to drive. However, the dealership can’t guarantee that something won’t happen to them after you’ve driven it awhile due to their age, so they do not offer a warranty with these vehicles. The peace of mind that having a warranty offers is one of the things that make certified pre-owned cars a great deal but the selection is another reason to check them out. Certified vehicles come in all makes and models, so it’s easy to find something you really like that also suits your needs. For example, you can find great deals on certified pre-owned Toyota Tundra trucks along with a wide variety of luxury vehicles when you shop around. In fact, luxury vehicles make up a big percentage of the certified vehicles sold today because they are the type of cars that most people lease. You can also find a wide selection of Corollas, Camrys and SUVs. 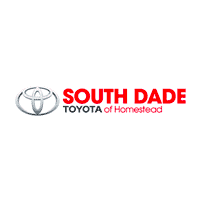 When searching for a Toyota dealership near you, do an online comparison to see what each one has to offer. While comparing companies, take a few minutes to search the certified used Toyota inventory page to see what kind of vehicles are available. Why Are There So Many Certified Pre-Owned Vehicles Available? Sometimes, people trade in cars after owning them a few years because their needs change or because they simply want a new one. When these trade-ins meet the requirements, dealers will usually sell them as certified cars. Leased vehicles often qualify as a certified vehicle, too. Once a leased vehicle reaches the four or five year mark, dealers will put them out for sale because they are too old to continue leasing but they’re still new enough to make someone a great vehicle. Since they’re still in such great shape, they qualify as certified pre-owned cars. Buying a certified pre-owned Toyota allows consumers to buy a fairly new vehicle at a discounted price. You can enjoy the peace of mind that having an extended warranty offers and save money, which makes these vehicles a great deal.